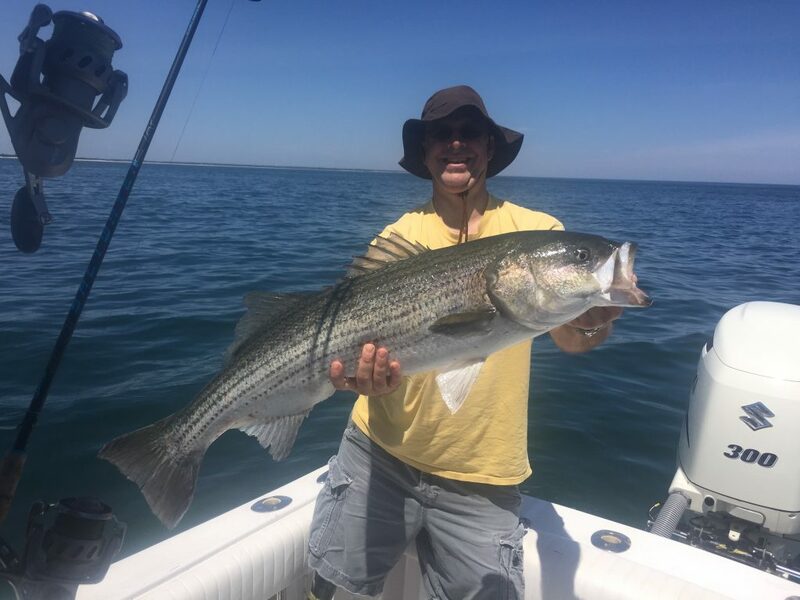 Summertime Striped Bass fishing is in full swing here on Cape Cod! 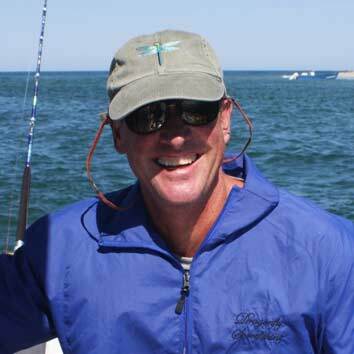 The beautiful weather we’ve been having combined with the red hot fishing is a winning combo. 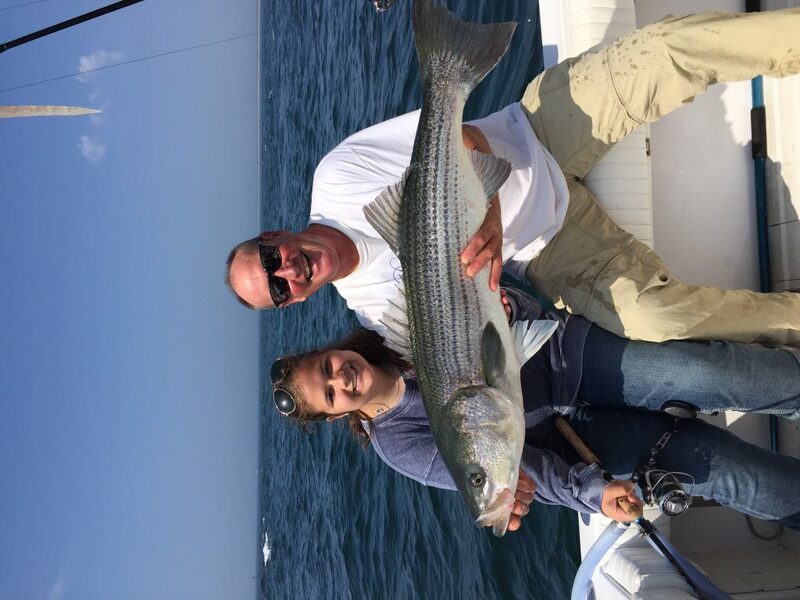 The stripers have been mixing in with 10 to 15 pound bluefish that provide an incredible battle on light tackle. Most of the action has been top water, with the fish smashing popping plugs and soft plastics on the surface. 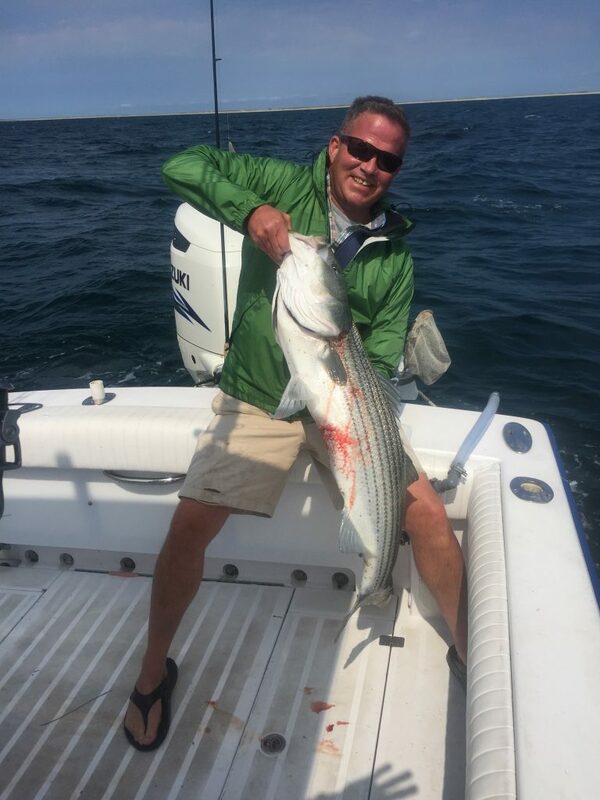 There is nothing more thrilling in the world of sport fishing than watching a big fish open up a hole in the water as it swallows your lure. 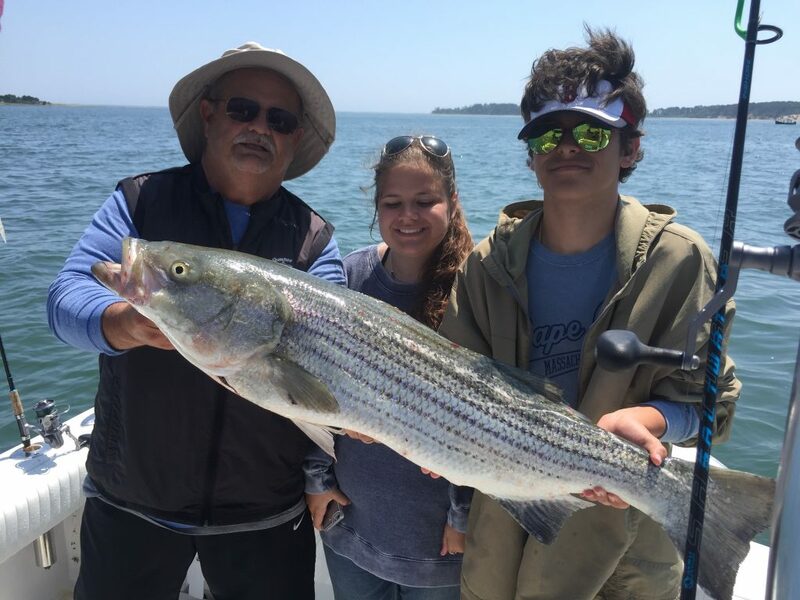 ← Striped Bass, Black Sea Bass and Bluefin Tuna. The gang’s all here! !